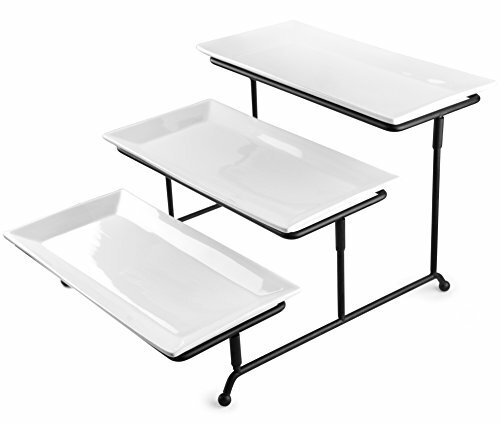 Maki 3-tier porcelain server platters with adjustable metal rack - Oven safe, dishwasher safe, microwave safe. Serve your guests with HIGH QUALITY you can trust. Our upgraded thicker adjustable rack stand makes this server remarkably versatile - angle it any way you can imagine! Just pull the rack in either direction to fan the plates out at an angle. Our thicker iron stand is sturdier than the competition! Certified & tested - Oven safe, dishwasher safe, microwave safe. FDA approved. 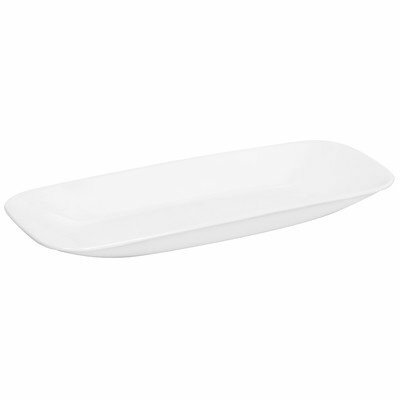 PURE-WHITE PORCELAIN platters measure 12" x 6" (3 x platter included). Don't fall for inconsistent off-white yellowy, bent warped plates! We're offering you the same great quality we sought for our own dinner presentations. PACKED WITH GREAT CARE to protect delicate pieces. Wouldn't you hate to receive this broken? Well, so would we! That's why we use careful packing around every part. Have an issue? Just let us know and we'll take care of you. We know ordering breakables can be scary - but we took every precaution. In the unlikely case that it arrives broken, we will always make things right. FOR ALL OCCASIONS - from highly anticipated special events to family home dinners, load up your platters with amazing sweet desserts, bright fresh fruits, savory delicious meats & cheeses - the possibilities are endless. SATISFACTION 100% GUARANTEED. No-nonsense money back guarantee. Contact us directly if any issue arises! Click "Add to Cart" today and start serving your guests better!